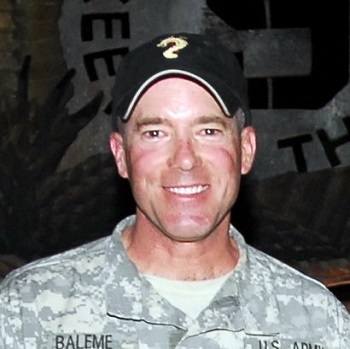 SEATTLE – After a 28-year Army career, Lee Baleme had no doubts that his natural leadership abilities would make for a successful transition to the civilian career world. Once he retired, however, he found the road to his post-military future was not as smooth as anticipated. Lee’s peaks and valleys presented themselves as professional setbacks, educational stalemates, and corporate acclaim. He began to discover true happiness when he started volunteering. 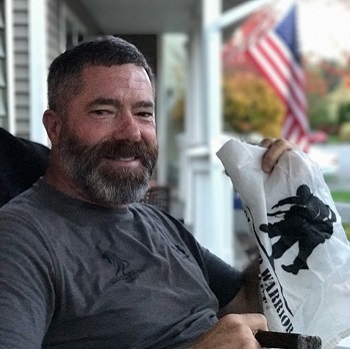 This love of service led him to a career with Wounded Warrior Project® (WWP), where he serves and empowers injured veterans by coordinating events that give them opportunities to connect. Lee spent several months living in American and Western Samoa, working on a fishing boat that took him throughout the South Pacific. He returned to San Diego longing for direction and structure in his life. Ready to make a bold decision, he became an Army infantryman. Like many young recruits, Lee’s plan was to serve his mandatory first years and venture out into the world as a civilian. “I was hoping to get enough money for college, and then I would get out after four years,” he said. “After six years, I re-enlisted because I liked the camaraderie of the Army, and I liked my job. Then I’d planned on retiring after 20 years, but I realized I had become too much a part of the culture. I ended up staying until I had 28 years in.” During his military career, Lee established himself as a capable leader. After his initial tour in Iraq, he mentored young hopefuls in a ROTC program. He taught strategic counterinsurgency – think Jason Bourne stopping ISIS – in Afghanistan. Upon returning to the United States, he served as his unit’s operations sergeant major until his retirement. Just before retiring, Lee earned a bachelor’s degree in business administration. He was unsure about a civilian career path, but he was certain his background would ensure immediate success. He quickly discovered that was not the case. Lee pondered his next move. He decided corporate America was his future after nearly three decades of government service. The position was with a Fortune 500 waste management company – one of the biggest in the United States. Managing logistics and personnel, Lee began to feel like his professional life was on the upswing. His general manager was grooming him to become an operations manager. His work with TMC led him to a farm manager role at one of the three Soldier Homes in Washington state – VA-funded establishments that house veterans. Lee taught veterans the basics of farming and gardening. He accepted the position readily – and for no money. Gradually, he realized the work that truly made him happy was worlds beyond the corporate sector. His resolve was strengthened, and soon Lee was reaching out to Warriors to Work® for support. He wanted his resume to actively portray his desire to take on a WWP position in Seattle. 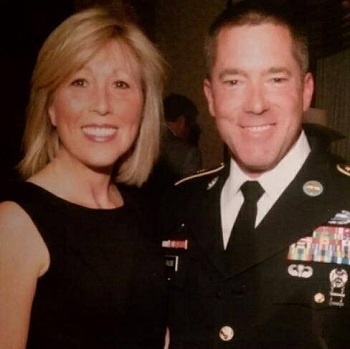 He was drawn to the chance to coordinate connection events that allow warriors to get out and bond with one another, while drawing them into the organization to learn about its programs and services. Today, Lee says his work and life balance is where it should be, and that his family is proud of what he accomplishes working with injured veterans. After trying to move on from the military for so long, he said he finally realized it is where he is meant to be. And he has a similar message for warriors who might be thinking of reaching out to WWP.